I tend to overlook our mule deer as they seem to be everywhere and yet they tend to run (for fear of their life) as soon as you stop and focus on them with or without a camera. This year I tried my hand at finding a suitable spot to capture the local migrating herd in hopes of seeing and capturing a photo of a few large bucks. I sat in a bag blind early on a number of cold mornings along one of their migration routes. There was plenty of evidence that they may choose to swim the lake. This was my hope! 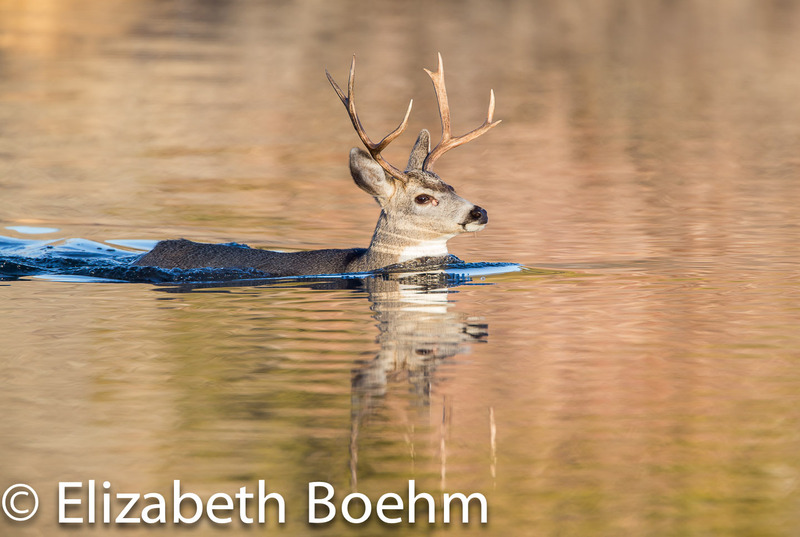 I saw large numbers of deer move down the lake but only a few took the plunge and swam across. There were approximately five crossing spots and no way to determine which would be the best spot to sit. 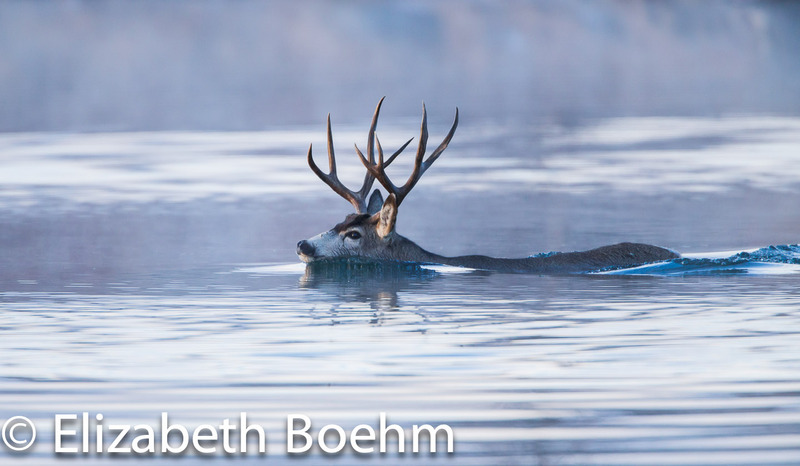 I chose a spot each morning and on several occasions I was lucky enough to have a deer swim close enough for photos. It was not only beautiful but spectacular when it happened! 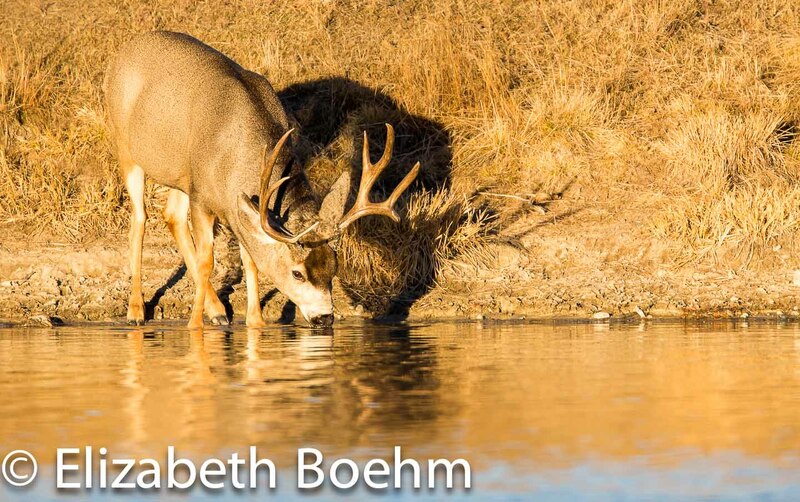 The lake is now starting to freeze over but I will continue my quest for mule deer in hopes of finding a few, large males sparring in fresh snow during early, morning light! !